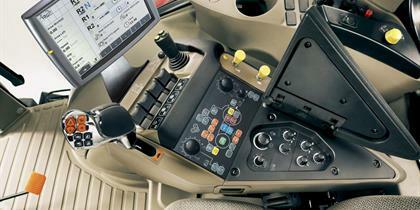 The Puma and Puma CVX models boast an extremely comfortable and ergonomically designed cab. 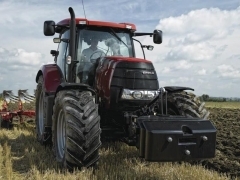 Thanks to the operating concept for the 110 to 700 hp(CV) models, which is standardized across Case IH – with the same A-post element, the same armrest and the same Multicontroller™ –, tractors such as the Maxxum, Puma, Magnum and Quadtrac are very user-friendly and easy to handle. This operating concept is tailored to the needs and wishes of our clients in the most effective way possible, for minimum familiarization time and maximum work results! The Multicontroller™ armrest with drive logic, ICP operator’s panel and AFS Pro 700™ touchscreen monitor combines all the key tractor functions. From selecting the ground speed or Headland Management Control to operating the front and rear hitch – with the Multicontroller™ armrest, you have everything under complete control. Superior engine power as a trademark: up to 23% more productivity is available thanks to Engine Power Management, Efficient Power and SCR, allowing you to perform heavy towing operations in the field and on the road with the greatest of ease, to enjoy a more relaxed working environment, thanks to the lower engine revs, and to achieve optimum values in terms of specific fuel consumption. The six-speed Semi-Powershift transmission is both simple and reliable. 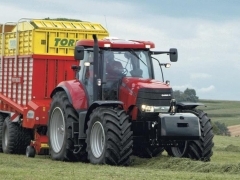 It offers clutch-free gear changing within each group and is the ideal choice for farmers looking for a cost-effective, tried-and-tested transmission. With the Full Powershift transmission, you change gear without activating the clutch. A creeper transmission with 29x6 gears and a minimum speed of 200m/h is available on request. With an oil delivery rate of up to 150 l/min. (Puma) and 170 l/min. (Puma CVX), the hydraulics on these tractors are designed for heavy-duty work and a maximum hitch capacity of 10,460 kg in the rear hydraulics. A maximum of 7 remote valves (models 130-160) or nine (from models 170) enable complex implements to be controlled with ease. 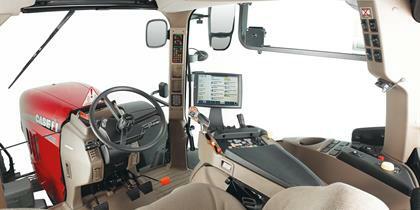 The front hitch and front power take-off (PTO) (optional) will increase your productivity even further. 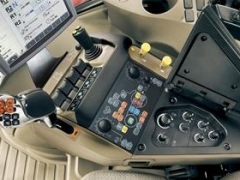 With the Case IH AFS systems, you can maximize your efficiency, operate ISOBUS compatible devices from the cab and use track guiding systems with maximum precision. 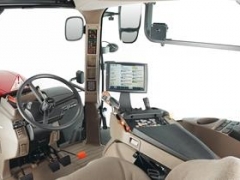 The AFS Pro 700™ monitor, which can be integrated as an option, allows you to maintain an overview at all times of, for example, the fuel consumption or the engine and PTO speed. 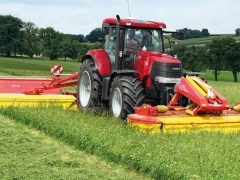 This means that you can adapt the tractor settings to the respective attachments and work conditions quickly and easily.